This is till an issue. I have further experimented with it and the issue is either in the boost library itself or TS3 using it wrong. I suggest it's the latter, since multiple calls to create the boost_interprocess directory are made. I have attached the process explorer log file and highlighted the questionable entry. Overriding some function calls did the trick but it certainly can't be a solution to hook into windows API calls. Hi guys. I've been running a teamspeak server for years now which has brought on multiple headaches, but this is a class all of its own. My server was working fine last night, but now neither me or my friends can connect to it. I tried to start over from scratch but no matter what I do the privilege key box is blank. I looked into the "instance check error" and read the instructions in server_quickstart.txt, but I'm not 100% on how to go about it. Nobody actually says HOW to do it. Is it just a command I enter into cmd? The server isntance has not enough permissions to start any accounting service on your system. No voice server can be created or started without the accounting service. No server created = no Key on first instance start. You need to run the server from a place or from a user which has enough permissions on your system. Sometimes, moving server to a diffrent drive helps, sometimes missing windows updates + restart help. Last edited by dante696; August 9th, 2016 at 08:47 PM. Thank you for the response. 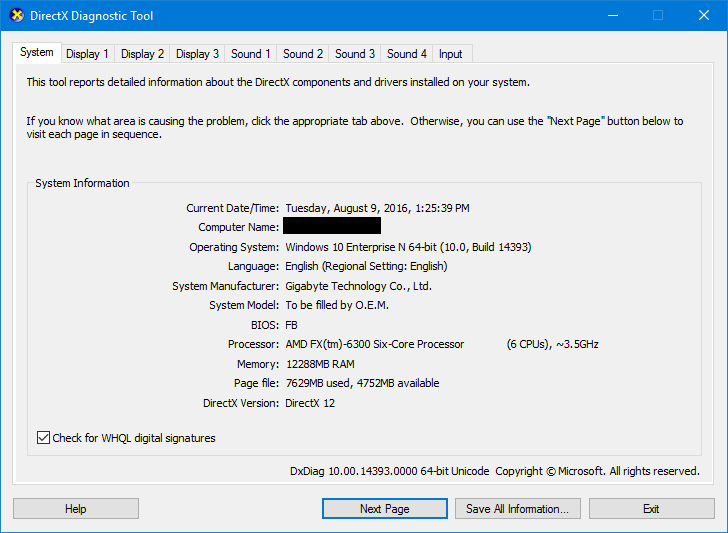 I have tried restarting my computer several times and installing in multiple locations such as C\users\myname and even on my secondary SSD. No luck. I'm still not receiving a privilege key. I replaced my Killer 1535 wireless card with an Intel 8260. There was no issues with installation or drivers, but I thought I would mention it. Like him/her, I chose 3.0.11. My user is admin (full access). Last edited by ALpha__; November 28th, 2016 at 06:13 AM. Having an issue with the "local accounting service"
Please read following and let's hope moving the server or restart helps. Same issue for me since my last update. I can't start my server and I can't downgrade since the DB was updated. The server is runned as administrator. I have tryed to add write access to Users group without success. Windows machine - "failed to register local accounting service"
The latest version that is working is 3.0.11.4 and that is currently the only solution to this issue that I have found. I have made sure that the software is run as administrator and have full read/write/execute permissions on all files and folders unless I missed something. Any suggestions at all are welcome. I've got a problem. Windows Server 2012 R2 dedicated machine. I downloaded your software. afrer running the EXE file it pops out a Login and Password. however the ports are never being opened. Sockets etc. I've enabled everything in firewall I cant even connect from localmachine. And what is printed in server log 0? Is there a log with _1 at the end? I've opened your exectuablein IDA Pro , seems you are using shared memory for checking if another copy is running an exception is thrown right there in your code. Win server has sort of different policies you know. If I had some free time I would just 'crack' it. In the mean time you can accept my inquery for a Free community license key Please :P it is just for me and my bro. Maybe other usage cases would surfice in the mean time. I have even granted moreprivilages to this EXE than it would requite. Simple account with network privilages shall suffice for running a tiny thing such as this. There is no way on earth I'm gonna allow this to be run under full admin privilages on a production machine seeing these bugs. and mark my words. Nobody besides kids is going to allow this to run under full admin privilages on a prod server. verify number of license keys based on IPs.stay away from shared memory. woooooooooow..... you have denied me a free community license key though it was 'registered' for a univeristy domain at which I'm a phd student.. stating that it is a commercial portal which you do not support. I was just to play with my bro and friends and the only reason I needed the license key is Bcoz your software is BUGGED.....I was here to help xd...... FU.... and your buggy software I'm out.